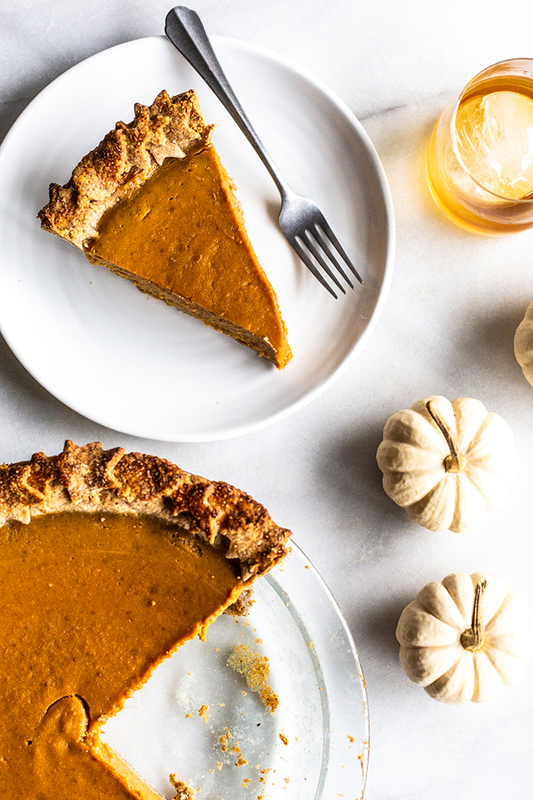 This Maple Bourbon Pumpkin Pie with Pecan Buttermilk Crust takes pumpkin pie to the next level. Impress your guests with this homemade masterpiece. Hello yes, hi. 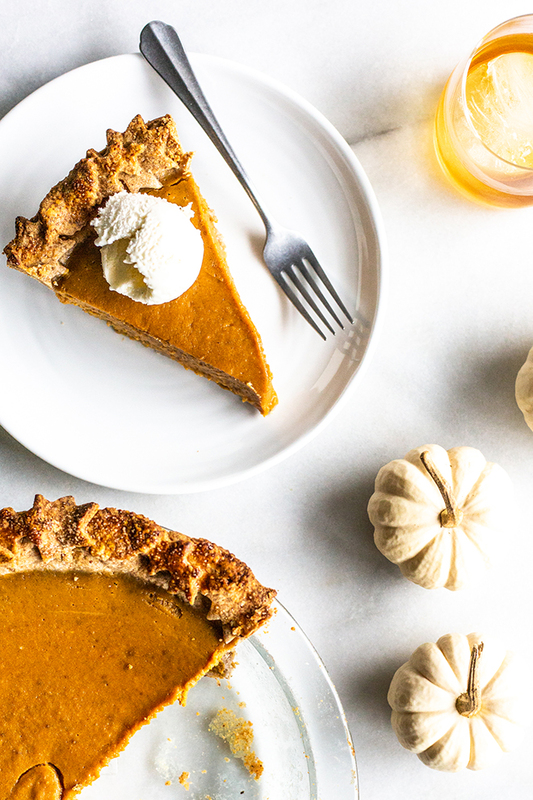 Let’s all take a moment to welcome our pie of the month, shall we? LIKE HELLO, IT HAS BOURBON. 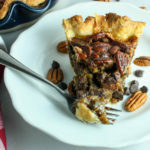 I can’t even begin to tell you about the pecan buttermilk crust. 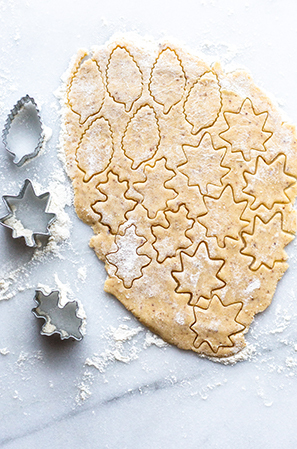 It’s kinda like pie crust and one of those little pecan shortbread cookies had a baby. So, I’ll let you do the math here, but this one is a winner. Like, serve to your out of town guests on Thanksgiving kinda winner. If you want a classic crust, here’s mine. It’s also a staple in our house. That’s what I use in my Lazy Girl Rustic Apple Galette, my Black Raspberry Pie, and my Chocolate Chip Pecan Pie! I will say, when I mean bourbon I mean bourbon. It’s there. It kinda creeps up on your palate and kisses the back of your tongue and makes you want a stiff drink in front of a fire. It’s not overpowering, but if you’re a whiskey or bourbon lover…just trust me on this one. And you top it with ice cream or whipped cream and pour yourself a nightcap. How’s that for awesome? Come hang out with me on Instagram, friends! 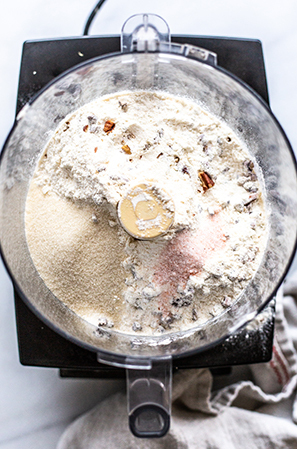 Add the flour, pecans, sugar, and salt to a food processor and pulse together. 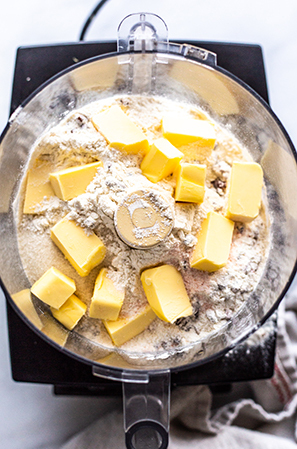 Add the butter and combine until the mixture looks like a fine meal. 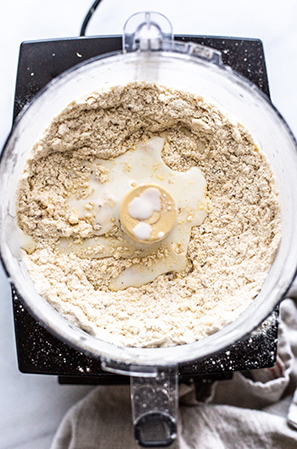 Add the buttermilk, 1 tablespoon at a time until the dough pulls together. 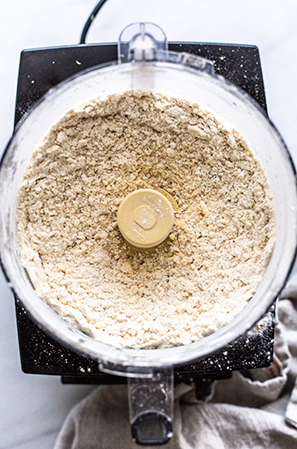 Remove the dough from the food processor, shape it into a disc, wrap in plastic and pop in the fridge for 30 minutes or up to 2 days. 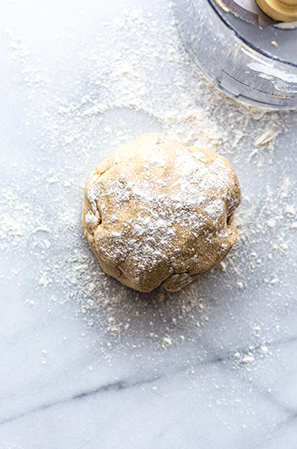 When you’re ready to make the pie, remove the pie crust dough from the fridge. 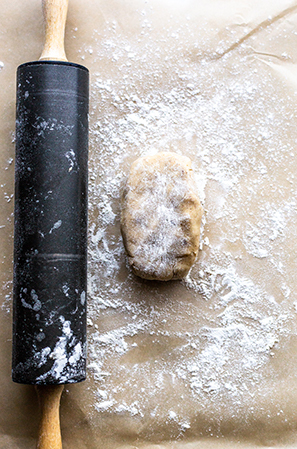 Roll out the crust, and place it into the pie plate. 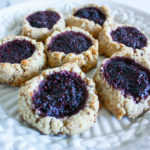 Trim the edges and if you’re making a braid or decorating with pie crust cookie cutters, prepare the details, attach and refrigerate the crust while you make the filling. For the filling combine the pumpkin, coconut milk, bourbon, maple syrup, eggs, egg yolk, sugar, and pumpkin pie spice in a bowl well. Remove the pie shell from the fridge and pour in the filling. Place the pie into the oven for 40-50 minutes or until the crust is golden brown and the filling is just set, but still jiggles a tiny bit in the middle. Let cool completely, refrigerate and serve! I used a deep dish pie plate. You can use a standard pie plate, you’ll just have a little extra filling left over. 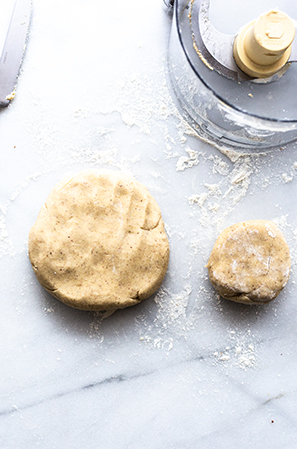 If you don’t’ want to decorate your crust, refrigerate the extra pie crust dough and use it to make a mini pie in a ramekin or save it for another time by freezing. It always looks a bit suspicious for me when recipe is called masterpiece, but after trying this one I kind of understand why, This is really really delicious pie. Omg Allie this looks divine!! The perfect Thanksgiving dessert!! Hey! I’m really excited to try this recipe!!! But I don’t have any coconut milk- can I easily substitute in another milk like whole milk? Hey Colleen! I would only use coconut milk as directed or evaporated milk! 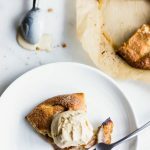 I’ve never tried this recipe with dairy milk but I’ll make a note to test that in the future! 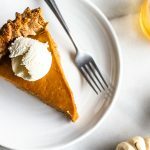 Pumpkin pie can be a bit finicky with the ratios and I tested this a few times to make it foolproof for you!